You work hard for your summer vacation, so of course you want to get the most fun for your buck. 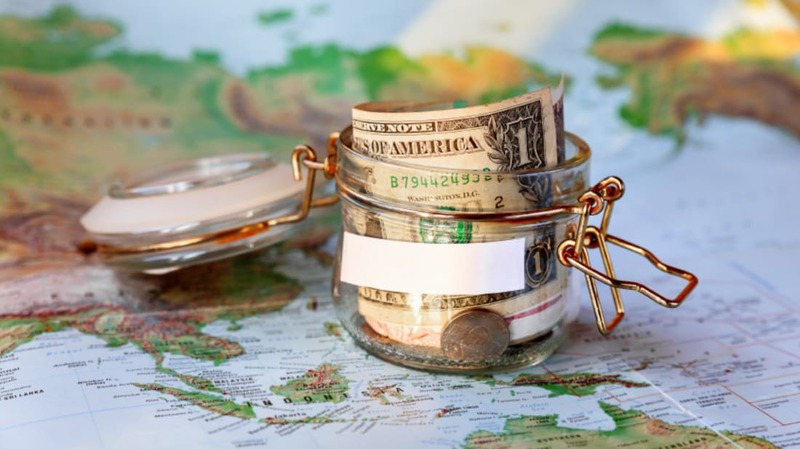 Here are a few ways to save money without sacrificing the pleasures of travel. After years of losing money, airlines are enjoying record profits these days thanks to high ticket prices, checked-bag fees and other extras. Thankfully, there are still ways for you, the traveler, to save. Set up price alerts early to get the cheapest fare possible. And try booking your flight in the middle of the week, preferably on a Tuesday, when fares tend to be lowest. A few carriers don’t charge checked-bag fees, which can save you upwards of $25 per person (you can also sign up for an airline credit card, which often waives the first bag fee). To save even more, bring your own food and entertainment onboard. Especially in big cities like New York and San Francisco, where hotel prices can be sky-high, an apartment or condo rental could save you hundreds. You won’t have turndown service or complimentary breakfast, and you likely won’t be right in the heart of the action. But you’ll get to experience living like a local, and may just find your accommodation to feel like a home away from home. And because you’re dealing with a property owner instead of a company, you may also be able to negotiate the price down. These days, budget hotels are known less for roaches and mysterious stains and more for clean, simple—even stylish—accommodations. Big-name companies have given their rooms a facelift in recent years as they compete for business. They also offer rewards programs and special discounts, which means you can get a low price without sacrificing cable and running water. Instead of waiting around for a good deal on your preferred destination, why not do it the other way around and let the deal guide you? With so many sites offering deals on everything from five-star hotels to all-inclusive resorts, you can wait until something strikes your fancy, then book it. If you’re comfortable waiting until the last minute, you can score some really deep discounts on rooms that companies are desperate to fill. Some people like to spring for a luxury rental, but if you’re keen on saving money, don’t fall for the upsell. Likewise, don’t pay extra for insurance plans, which are often inadequate, and unnecessary if you already have car insurance. As far as reservations go, use one of the many online price searches rather than getting quotes from one or two companies. These sites will find the lowest fares available, and some will even rebook you if the price drops between the time you reserve and your trip. Clipping coupons is a natural step when it comes to retail shopping. But travel? Not so much. Nevertheless, many hotels offer discounts, often in the form of a promo code you can enter when reserving. Check for coupons to restaurants, too, in the area where you’re traveling. Companies often offer discounts on their websites, but you should also look to sites that aggregate deals and digital coupons. Social media is another favored outlet for discounts, so consider following your favorite spots before you travel. You rent a room for $250 a night, but upon checkout find that price ballooned to over $300. Some of those extra fees are out of your control, but some you may be able to opt out of upon check-in. Newspaper delivery, for instance, is an automatic charge at some hotels that you can nix. Same with parking and even meals, depending on the location. Some hotels charge an arm and a leg to make a phone call, so check on the rates for dialing out—or just use your cell phone. Summer is peak time for lots of destinations. But peak rates don't necessarily last the entire season. European countries like Spain and Italy, for instance, see lower rates in August as locals head off on holiday. Similarly, Florida tends to quiet down as spring breakers and the initial summer rush wears off. Browse fare charts to see when prices start going up. Booking a week before or after peak season could save you hundreds of dollars. Ultimately, you want to pay for the vacation you’re going to enjoy. If you love to cook, a suite or rental home with a kitchen will be worth the extra money. But if you plan on eating out and spending most of your time away from your home base, why pay for the extra space and amenities? Knowing how you like to travel can be the biggest money saver of all.